Daniel Wildman was born in Maulden, Bedfordshire, England, in 1837. He arrived in Sydney on the Washington Irving on 14 April 1855. Wildman was married twice. His first marriage was on 24 December 1857, at East Maitland, to Rebecca Quick, who died in 1858. His second marriage was in 1858, also in Maitland, to Mary Walsh (1836-1923). He had four daughters and three sons by his second marriage. He died on 16 June 1902. 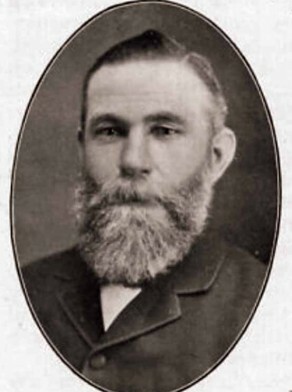 Daniel Wildman was an alderman on Camperdown Council in 1872-73. He was also an alderman on Newtown Council 1879 to 1881, and its mayor in 1880.